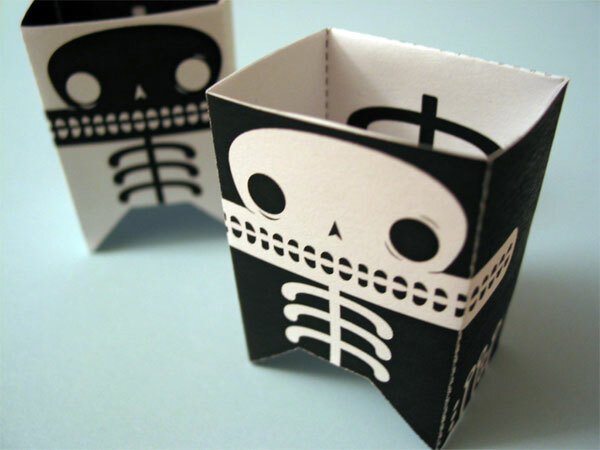 The Readymech site has several PDFs of simple papercraft models that you can download and print off. Some are more complicated than others, but they all look really good when assembled, and are fun to make. 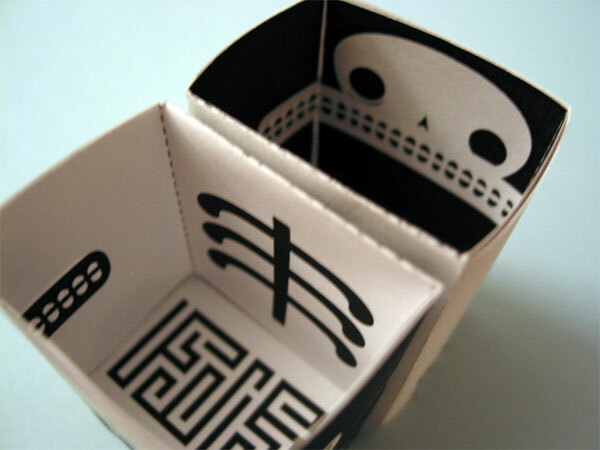 The skeletron model is one of the simplest, but there is still good attention to detail, with an inner box that continues the design from the outside. 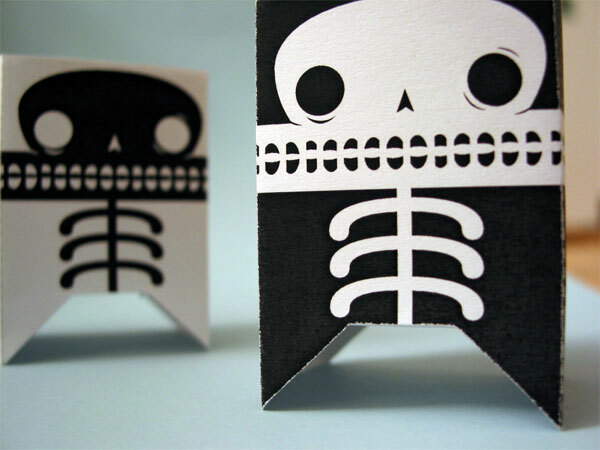 I’m going to be making more of these little papercraft robots, so watch out for future updates. Thanks to Make: Blog for the idea!